Incoming and interstage heat treated coils of raw material or wire are cleaned chemically and coated with Lime, Borax, Phosphate, Stearate, Copper or Bonderlube ready for the next stage of production. Incoming hot rolled bars are shotblasted and in line lubricated. Materials can be spheroidise or machinability annealed, normalised, using atmosphere controlled or batch methods, hardened & tempered and/or stress relieved. Coils up to 3 tonnes, Crack detection size range, 10.00 – 70.00mm, Ultrasonic Inspection, size range, 10.00 – 50.00mm, 4.00 – 35.00mm round or equivalent shapes. Spinner straightening and cutting to length for round wires up to 35mm. Shaped wires in the equivalent round range 5 – 16mm can be cut to length from coils. Up to 75mm in rounds or equivalent cross section shapes. Available using sawing or cropping equipment to precise tolerances. One or both ends, 8 – 60mm or equivalent rounds. In or offline for bars, 7 – 70mm or equivalent rounds, in line only for coils. An offline process, including crack detection and laser measurement for bars in the range 7 – 50mm or equivalent rounds. Kiveton Park Steel has a wide range of production facilities, on one site, for the production of round and shaped section wire and bar in a variety of carbon, engineering and alloy steels available for both prime and sub contract manufacture. 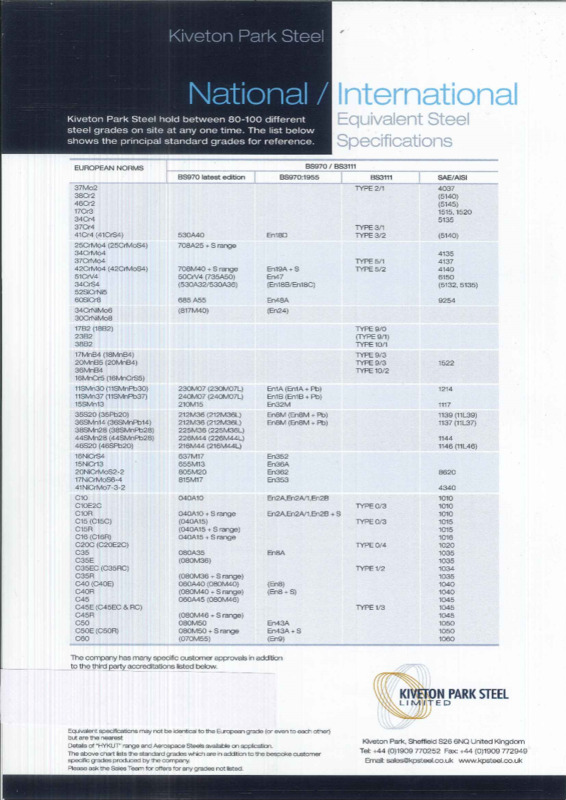 Please click the PDF on the right to view a comparison of equivalent international standards for material composition, in addition to which, the company has an exclusive range of heat treatable alloys traded under the name “HYKUT” with improved machinability characteristics. Where customers require very straight, stress free products the company has also developed specific processes to meet these very demanding applications. 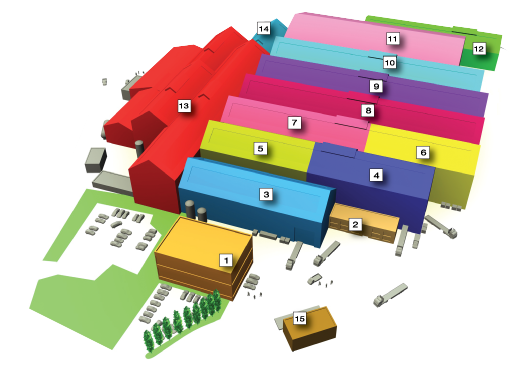 sources and end users to develop bespoke specifications covering special steel analyses and processes / process controls to establish unique supply chains for critical products.The facilities listed below provide details of the installed capacity which is also available for the hirework of standard or special materials including stainless steels and nickel alloys.